The ultimate guide to Kilimanjaro - Find facts and tips here! 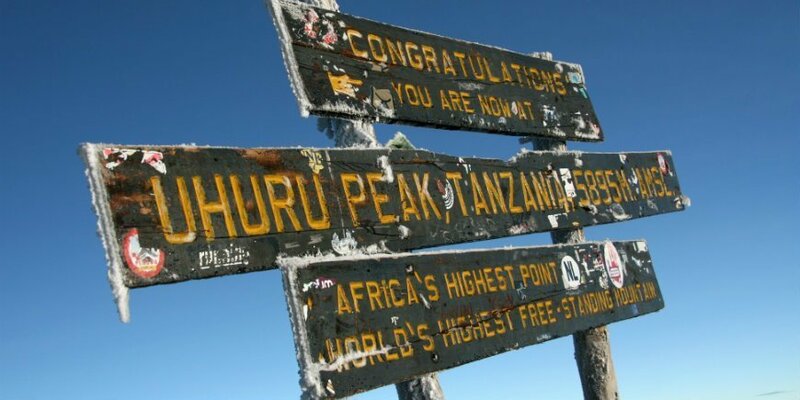 Below, you will find information and tips put together especially for those who dream of standing on top of Africa’s highest mountain. The mountain Kilimanjaro is located in Tanzania, in the national park of the same name. Kilimanjaro National Park is situated north of the city of Moshi in the north-eastern part of the country. 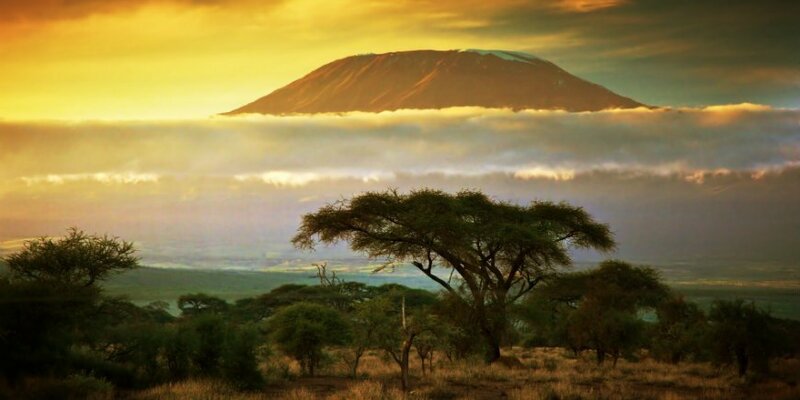 Kilimanjaro is 5,895 AMSL, making it Africa’s highest mountain. It is also the world’s highest free-standing mountain. Climbing Kilimanjaro is actually more of a trek. You don’t have to scramble up steep mountain sides, as is the case with some mountain climbs. At Africasafari.co.uk, you can choose to trek to the top of Kilimanjaro via five different routes, which vary in length, duration and difficulty. So the route you choose should largely reflect what you want from your tour. See a comparison of the routes, get an overview of all our tours to Kilimanjaro or read a summary of each route below. The shortest route and less scenic as the descent is via the same route as on the way up. Lowest success rate due to the short time to reach the top. We have added an acclimatisation day to improve the success rate. Lower success rate than the Lemosho Route, as the first night is higher up. Medium to high success rate due to the route’s gentle ascents. 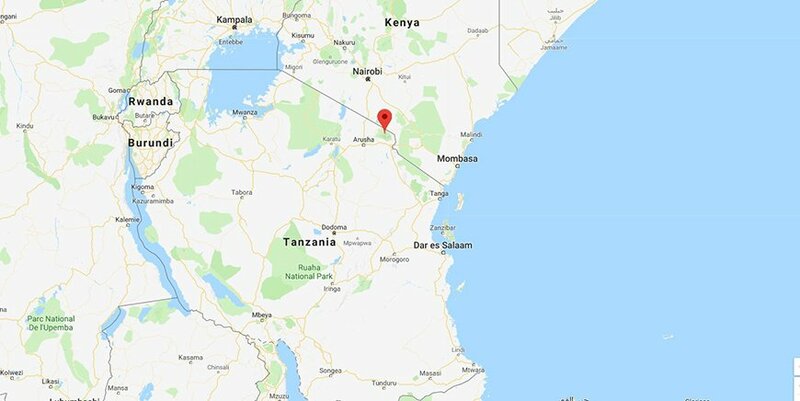 If you choose Africasafari.co.uk as your operator, the actual trek takes between 6 and 8 days: The Machame, Shira and Marangu routes (the latter includes an acclimatisation day) take 6 days; the Rongai Route (includes an acclimatisation day) takes 7 days and the Lemosho Route takes 8 days. We have chosen to include an acclimatisation day on the Marangu and Rongai routes as this increases safety and your chance of reaching the top. It is possible to include an acclimatisation day on the other routes (optional extra). Can children join the trek? As a rule, children under the age of 12 are not allowed to trek to the top of Kilimanjaro. We also recommend that you give it careful consideration before bringing children under the age of 15. Although the trek itself is not technically difficult, it is difficult to climb that high due to risk of altitude sickness – even for adults. Contact your doctor to ensure that it is safe for your child. Prepare your child mentally and physically for what is going to happen. Contact our travel consultants for help in finding the route (with an acclimatisation day?) that is best suited to you. 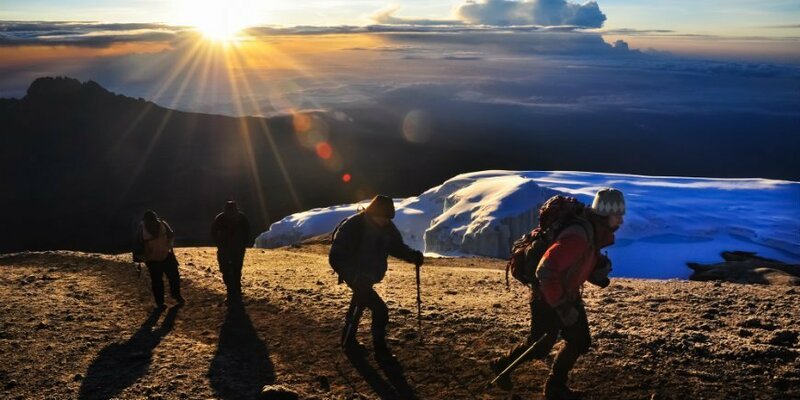 You can trek on Kilimanjaro all year round. The weather is generally reliable and it is warm all year round. However, on top of Kilimanjaro, you should expect average temperatures of down to between -21 and -26 degrees, depending on the season. The actual rainy season is between March and May. This can mean heavy clouds and heavy rain at lower altitudes and snow further up. On the other hand, there are fewer people on the mountain during this period. If you want a very special experience, check when you have the greatest chance of experiencing a full moon. It is a truly unique experience to reach the top of Africa’s highest mountain in the glow of the full moon. Find more information about the weather and temperatures on our page of practical information about Kilimanjaro. How does the trek to the top of Kilimanjaro unfold? Depending on the route you choose, the trek starts from the southern, western or northern side of the mountain. You will be accompanied on the trek by guides, a cook who prepares your meals as well as professional porters who take care of all the equipment and tents. 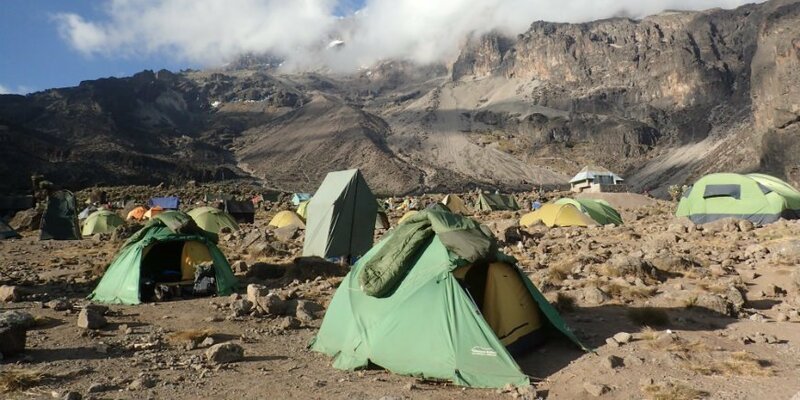 The porters set off ahead, so the tents and equipment are ready when you arrive at the various camps. Those who make it all the way to the top will experience the four seasons of the year and five different vegetation zones, including agricultural areas, rainforest, rocky landscape, highland desert with volcanic rocks and, of course, snow, ice and giant glaciers at the top. You spend the night at camps, typically in 2-man tents, unless you choose the Marangu Route where you spend the night in primitive cabins reminiscent of dorms. The tents have thin sleeping mats. You might like to bring a foam pad for better insulation against the cold from the ground. What will I have to eat? A cook accompanying you on the trek prepares the day’s meals. 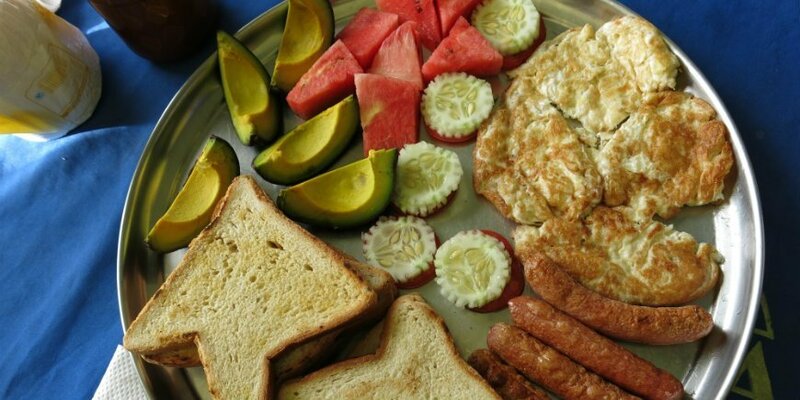 Breakfast typically consists of tea & coffee, bread, porridge, eggs, fruit and the like. Sandwiches, fruit, etc. are typically served for lunch, and dinner might be soup, bread, stew, etc. In addition to breakfast, lunch and dinner, it is a good idea to bring some snacks with you to keep your energy levels up along the way. There will be a primitive shared toilet in the camps where you stay the night on your way up to the top. It is also possible to buy your own toilet tent. This is, as the name suggests, a small, transportable toilet that is placed inside a small tent. It might sound a bit luxurious, considering the circumstances, but it can be a good investment if you want to enjoy a little more comfort on your trek. If you need to go to the toilet between the camps, this will take place out in the open. Remember to bring toilet paper and a bag to put the paper in. Altitude sickness can affect everyone, no matter what shape you are in. Symptoms include headaches, malaise, dizziness, insomnia, nausea and loss of appetite. This type of altitude sickness often goes away during the night or if you remain at the same altitude for an extra day (acclimatisation day). If your symptoms deteriorate (e.g. with vomiting, difficulty walking, coordination difficulties and a dry cough), it is important to descend to a lower height. Our guides know the symptoms well and they are adept at assessing when it is okay to continue as well as when the symptoms are so severe that you need to go further down. If this is the case, one of the guides will go down with you. 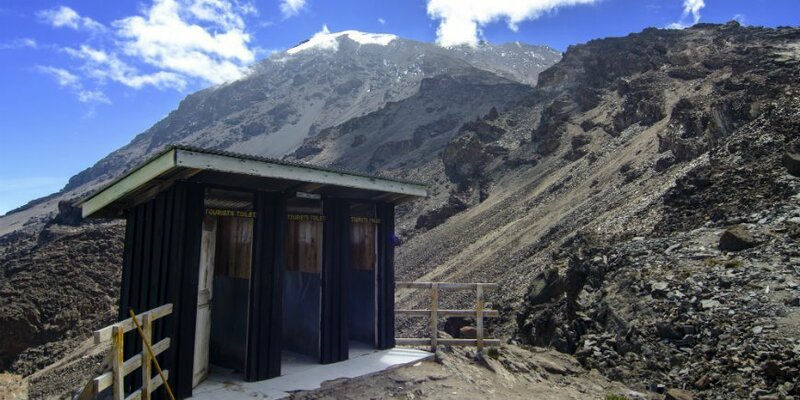 Proper acclimatisation is the key to avoiding altitude sickness. Acclimatisation is a process whereby the body gradually gets used to the increased oxygen deficiency. A rule of thumb is that you should sleep no more than 300–500 metres higher than the day before for proper acclimatisation. And that is the challenge on Kilimanjaro, as the various camps are 800–1000 vertical metres feet apart. Pole pole, as you will hear the guides say. This means take it easy, and it is essential not to overdo it. Drink plenty of liquid – at least 3 litres per day. Dehydration increases the risk of altitude sickness. Where possible, you should “climb high, sleep low”, for example by having an acclimatisation day, which is already standard on some of the routes. Is it possible to use my mobile? It is possible, with a few exceptions, to get a mobile signal, so you can send text messages or call home. This said, there is no guarantee that there will be a network for you to go on Facebook, etc. However, one thing is certain: there are no electrical outlets on the way up the mountain. So if you’re worried about running out of power, it might be a good idea to bring a power bank with you. Please note that the batteries discharge faster in cold temperatures. So it might be an idea to store your camera and mobile batteries close to your body during the day and in your sleeping bag at night. What are the working conditions like for guides and porters? Our competent guides and porters are instrumental in you safely reaching the top. So it is important to us that they work under good conditions. We follow all established guidelines regarding pay and working conditions (including food, accommodation, wages and general welfare). 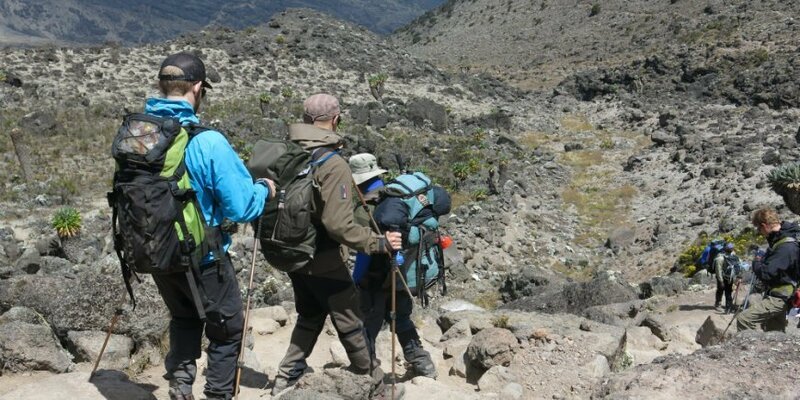 In addition, our partner is a member of the Kilimanjaro Association of Tour Operators (KIATO) and instigator of the Mount Kilimanjaro Porters Society (MKPS), which constantly works to optimise working conditions for guides and porters. What is the best way to prepare for Kilimanjaro? Contact your GP, a medical specialist or an authorised vaccination clinic that knows all current recommendations for the vaccinations you need for Kilimanjaro. While you are there, you can also get the best advice on malaria and malaria pills. What clothes and equipment should I bring with me? It is important that you are well prepared with the right equipment. On the way to the top, you will trek through four different climate zones, so you should be prepared for average temperatures from +27 degrees to -26 degrees! This means many layers of clothing! You should also ensure that you have a good, ergonomic bag for the things you will have to carry yourself. The porters can carry up to 15 kg of the luggage you bring. Good hiking boots are essential to a good trek. Make sure you have hiking boots that are neither too light nor too heavy. They must be warm, waterproof and preferably provide ankle support. It is also a good idea to have leg warmers for the lower leg, which can be attached to your hiking boots. And most importantly: Be sure to walk in your footwear at home. In addition to the above, you should also have hiking socks for areas where it is hot and areas where it is cold, e.g. wool socks for the cold areas, and moisture-wicking socks (for under the other socks). On our page of practical information about Kilimanjaro, you will find more information about useful items to bring with you on the tour (see points 21 to 29). Should I train for the trek? You don’t need to be in top form to make the trek up Kilimanjaro. Nevertheless, it is a good idea to prepare yourself both physically and mentally. Kilimanjaro can be climbed by all healthy people in good shape. However, we recommend that you train physically for the trip, and we also recommend that you visit your GP for a check-up before departure. You will walk between 4 and 20 km, for between 3 and 7 hours per day (even further/longer on the way down). So you should be in good basic shape. You must also prepare yourself mentally. It takes both determination and stamina to push the last stretch of the way to the top, especially if your body is burdened with altitude sickness. I’m ready! What should I do now? It’s an amazing experience to stand on top of Africa’s highest mountain. If you are ready to go, take a look at our tours to Kilimanjaro and choose the route for the challenge of your lifetime. If you have any questions, you are very welcome to contact our travel consultants.